Eeeek! I'm so pumped to be going back to Europe in just a few days! I will be visiting four countries I've yet to have had the chance to explore, all in the span of 17 days: England, France, Belgium and The Netherlands. 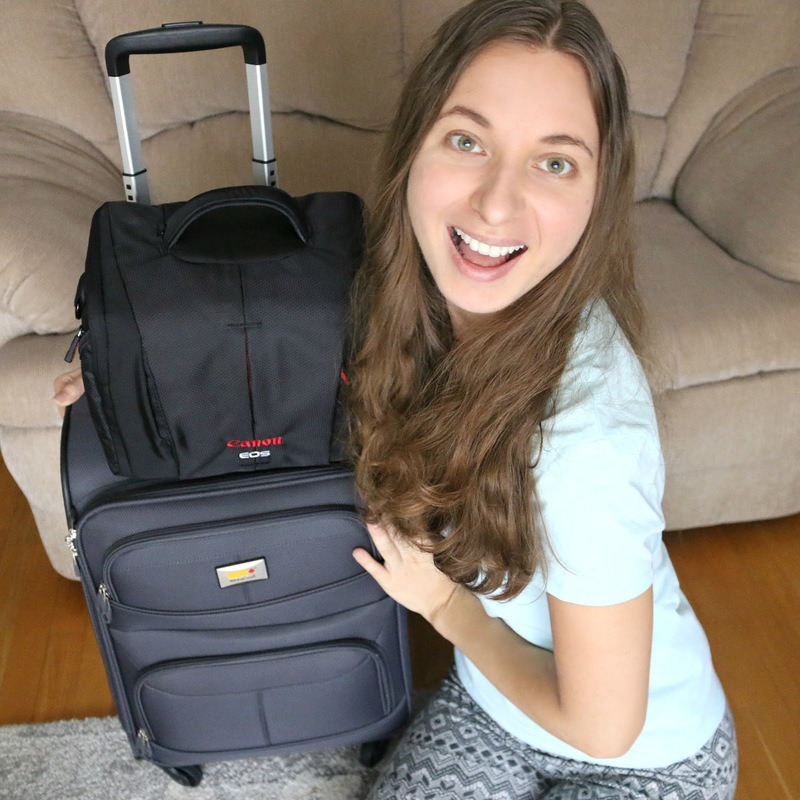 I've taken on the challenge to take only a carry-on with me on this longer trip, and I figured I would show you just how and what I am packing. We will be staying in both AirBnbs and hotels, and since we will have access to washing machines, it only made sense to lessen our load (and wait time at the airports!) since we will be moving around so much. 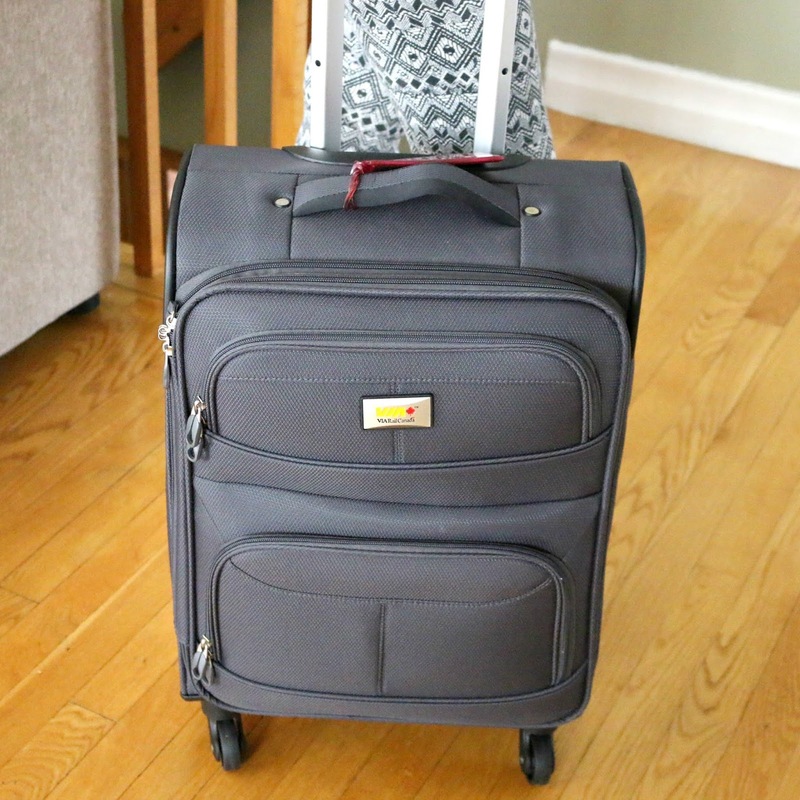 I was in need of a new carry-on suitcase and luckily found an amazing deal on this Via Rail James Bay 20-inch 4-Wheel Carry-on Spinner. What I love about it is that it is so lightweight at 2.3 kg, is expandable and is super compact. The wheels rotate 360 degrees which always makes moving around easier, and it features a telescopic handle which is very sturdy. I debated whether I should purchase some packing cubes, but finally settled on the good old rolling method, which I show you how to do in the video. I was apprehensive as to whether all of my essentials would fit inside this suitcase and still weigh in at under the 10 kg limit. Thankfully, fitting everything inside was a breeze and my carry-on passes the weight test! The second carry-on I am taking with me is my Canon EOS Camera Bag as I will be snapping photos and filming my adventures with my DSLR. It will be keeping my passport and documents handy, as well as hold all of my in-flight must-haves. See below for a list of featured items! A dedicated travel post will be coming your way, but in the meantime, you can follow along on my travels on my Instagram Stories! Wanderlusting? Feel free to read about my trips to Greece, Italy and Alberta - a nostalgic blast from the past! 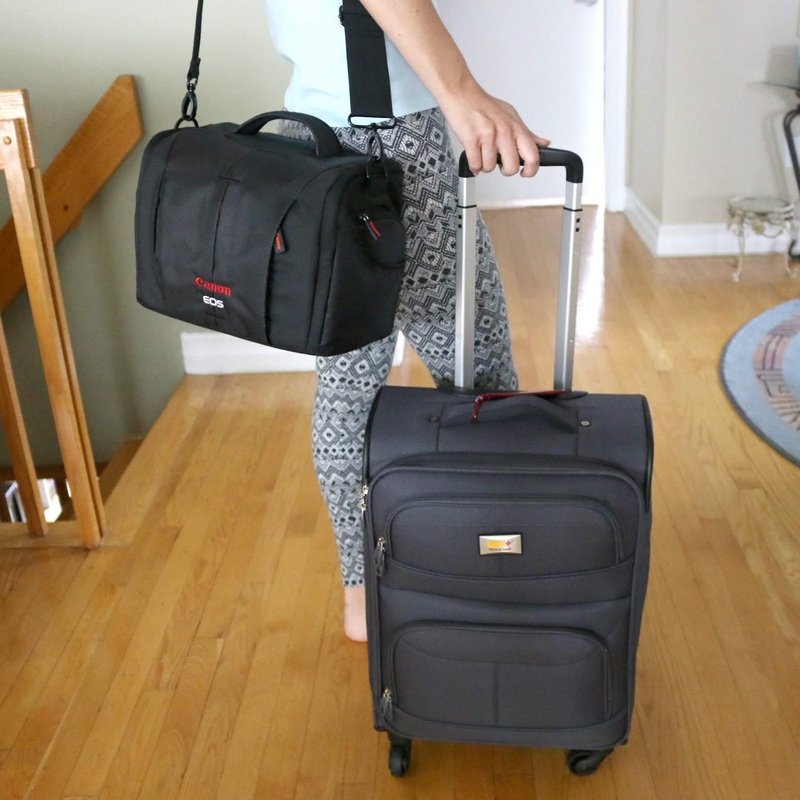 Have you already travelled with only a carry-on suitcase? Are you an over-packer or a minimalist when it comes to packing? Let me know in the comments below! I try to travel with just a carry on as much as possible. Sometimes it means I have to do laundry while I am there, but it's totally worth it. Wow you do pack light and have this down to a science. Not sure if I could pull this off. Worth a try. This is helpful for me because I am a terrible packer! I really need to get better with packing and to try and travel with just a carry on! I cannot say that if I go to Europe or any other foreign country that I could do it with just a carry-on. I am pretty sure I overpack. I need to follow some of your tips and maybe I can become a lot better at my packing also. I have started to travel carry on only a few years ago, even for long time journeys. It's so much easy and you don't have to carry all the weight on your back either. Have fun in Europe! I feel like you did an amazing job of packing! I am terrible about packing absolutely way too much stuff! Great list for packing. You list looks a lot like mine. I have a camera bag that looks like a large purse and it holds much more than my camera equipment. Oh my gosh you are like the packing queen! Hands up I am awful at packing and ALWAYS over pack yet manage to forget something?! I need to get better about packing. I tend to over pack as I might want to wear a different outfit. Take me with you to Europe! Kidding aside, you pack better than I do when traveling, I tend to pack more than I need. Packing can always be hactic, specially when its for a long time journey. Looks like you have done a great job. I am a really good packer as well. I always fit everything in a carry on bag as well. I like to roll up my clothes into daily outfits, it is a great way to get everything in the carry on. Packing is so stressful for me, I always put it off until the last possible moment. It's amazing that you fit all that into one carry on! Wow I have always wanted to pack just a carryon but sometimes it is so hard to fit everything. I will be refering to your post the next time I am going away and want to do just the carryon idea and save on checking a bag. I’m truly impressed that you can pack it all in carry on. I always bring a HUGE bag on an international trip! I don't take that many cameras or as many beauty products with me because I love shopping for them on my travels. But yes, you can do a longer trip with essentially a carry-on. SO SO SO fun!!! I have to say, I'm jealous!!! Enjoy it! Wow, that's impressive! I've always been an over packer, but it makes sense for Europe as they allow only smaller suitcases. 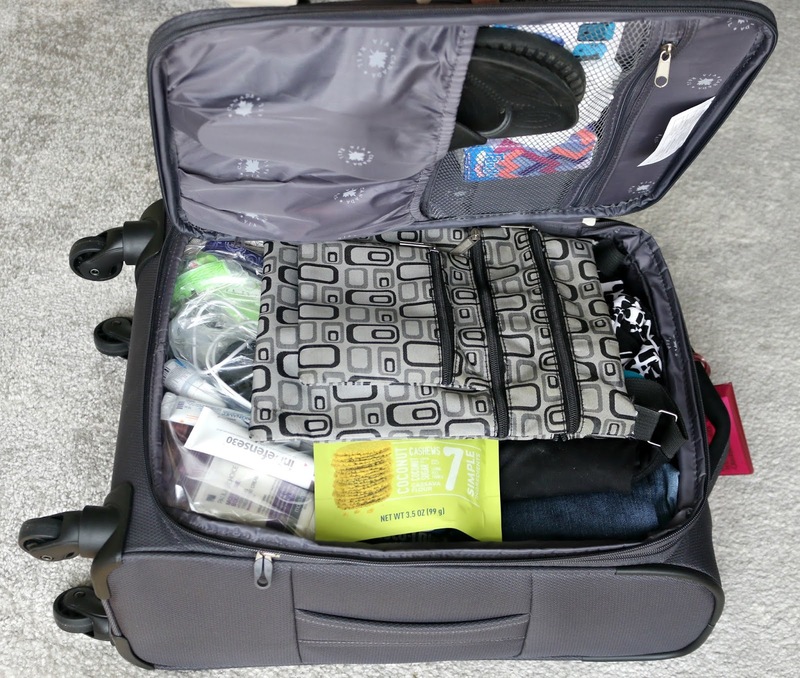 Packing carry on only can be a money saver and make traveling a little easier! This prevents lost luggage too. Wow, pretty amazing to have such a small bags for 17 days. I needed to learn how to pack like so. My 2 weeks trip usually took up more than 1 large luggage. LOL. Enjoy your holiday and tell more stories when you are back. To start with, that suitcase is just so great and allows packing of quite a lot of stuff! Your camera bag also looks great. Your Europe tour is going to be great lol! We hope to see the great pictures! I only pack a carry on. It is ridiculous what the airlines charge for baggage. My biggest deal are my shoes. I have learned to wear my heaviest shoes and pack the light ones. That duffel looks perfect for traveling. 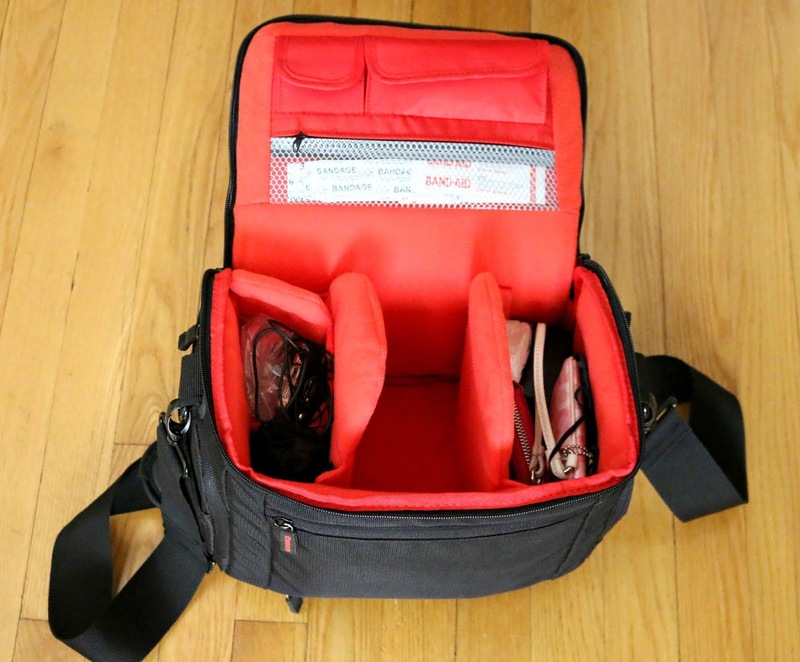 I've been on the road a lot recently so I've been in need of an easy but small traveling bag. I almost always pack carry on. I am a light packer so that helps a lot. Loving that suitcase. Great tips! Wow, what an interesting post! I tend to go with only carry-on when I travel on business trip, that way I do not have to wait for my suitcase to arrive on the conveyor belt - which helps me to save a lot of time. I usually use packing cubes when traveling to keep it neat. Thank you for sharing this, dear! Great tips! Those are some essentials that you need to remember packing and I can't help but say your suitcase looks amazing. This is great! I always overpack and although I've tried to minimize over the years I really can't imagine an international trip without an excessive amount of luggage. Great job! I bet you'll have an amazing time in Europe! Can't wait to hear all about it and see your awesome pictures from your adventures. Damn, you did it all so neatly and systematically girl. I'd have a tough time packing and arranging stuff like that. I love traveling with carryons and if you pack right you can fit everything you need with room. Great tipe thanks for sharing. We usually carry fewer clothing since it's assumed we'll pack more on the way back. 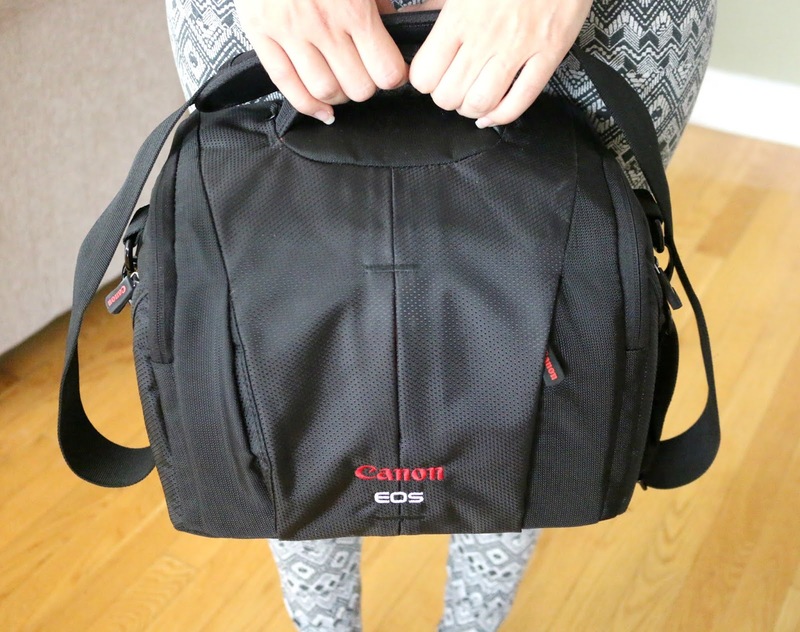 ;) The Canon EOS Camera Bag looks really good. I like the compartments inside!